Lake Garda is Italy’s largest lake, but there’s more than just the amazing Alpine scenery, mild climate and picturesque villages that keeps drawing visitors. On this day trip from Milan by train, visit the fascinating ancient Roman villas, castles and caves surrounding Lake Garda with an expert guide. Visit the old port of Desenzano del Garda and take a boat cruise to Sirmione for guided tours of the historical and archaeological treasures from thousands of years ago, plus enjoy free time to explore more on your own. Meet your guide at Milano Centrale station in the morning, hop on a train and relax on the 1.5-hour ride to Desenzano del Garda, on the southwestern shore of Lake Garda. A popular holiday destination, this town is known for its great beaches, summer nightlife scene and beautiful views of the Alps. Take a 1.5-hour walking tour of the city center to admire old-style villas and the medieval castle. 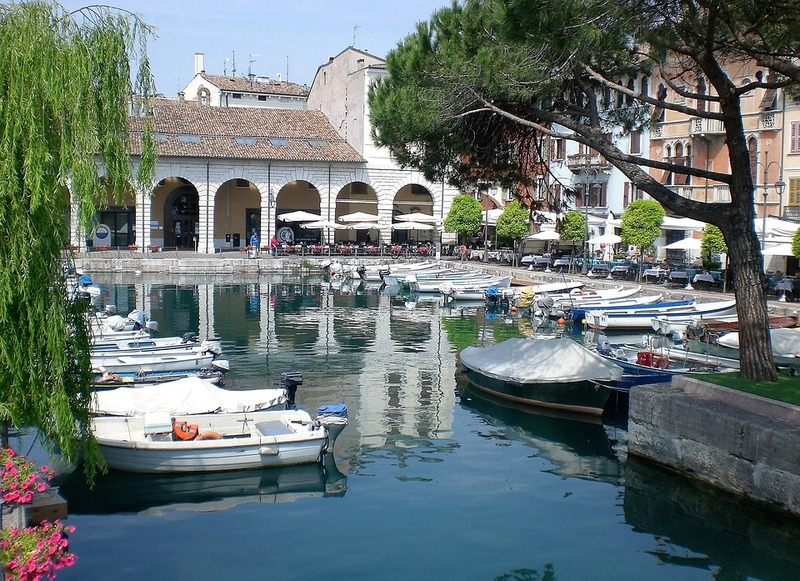 Learn about Desenzano del Garda’s history and archaeology: the town was a favorite vacation spot for the Veronese elite in the 1st century, and is home to prehistoric pile-dwelling (stilt house) settlements that are part of a UNESCO World Heritage site. Hop on a boat for a short cruise along Lake Garda to Sirmione. Learn about the interesting history of this ancient town on a guided walking tour down picturesque narrow streets, followed by free time for lunch (own expense). Then visit independently an enchanting Roman villa and the Grottoes of Catullus (Grotte di Catullo), Sirmione’s main landmark. Overlooking the lake, these caves are believed to have been the home of Catullus, a famous Latin poet. Then, visit Scaliger Castle, a rare example of a medieval port fortification, used by the Lords of Verona in the 1200s. In the late afternoon, return to your boat and cruise 20 minutes back to Desenzano del Garda, where you’ll have some free time to explore. Perhaps stroll to Piazza Malvezzi or Piazza Matteotti, sip drinks at an open-air cafe or browse shops for Italian wares. Then journey back to Milan by train, arriving at Milano Centrale station in the evening.